Global Wind Power is one of Europe’s leading suppliers of wind turbine projects. We combine all the specialist skills required to transform our customers' ideas desires and needs into reality and to create added value at all levels of a wind turbine project. Present also in France. General insurance company for all property and liability branches. Standard&Poor's Rating 2009: A- (outlook stable). Specialised in engineering risks. Leading insurer in renewable energies in the German market and major player in all EU countries. 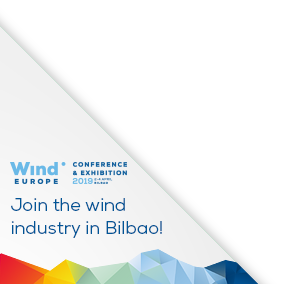 Partner of the wind industry since 1990 with a strong focus on manufacturers’ programmes. Gothaer Group was founded in 1820. Green Eagle Solutions is committed to the development of renewable energies. We have more than 10 years of experience in the sector and have dedicated our research to the development of CompactSCADA® an independent SCADA that improves profitability of wind farms and solar plants. GustoMSC is an independent and reputable design & engineering company of mobile offshore units and equipment. In close cooperation with our clients, we translate experience, science and technical knowledge into realistic & innovative ideas. In this way, GustoMSC enables and supports safe and efficient operations at sea, contributing to a sustainable future.